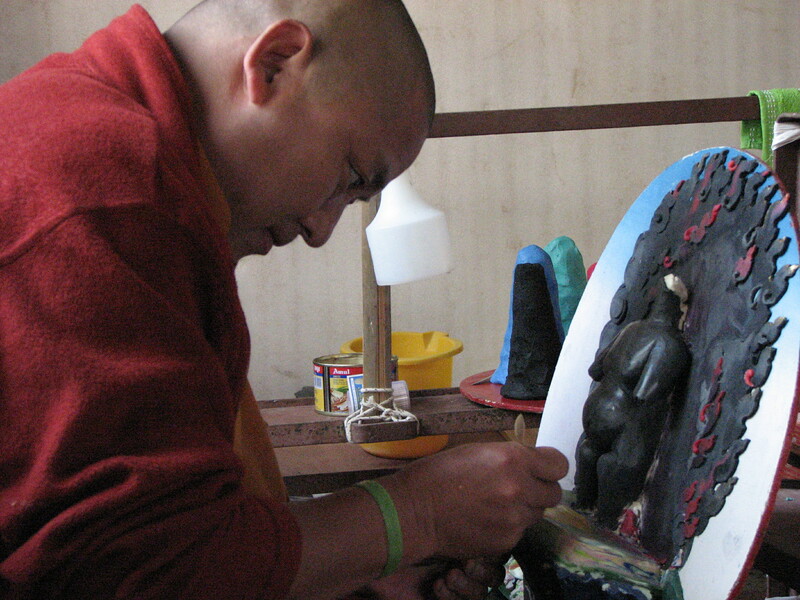 Lama Sangye is hard at work on a Mahakala torma. I’m in Bodhgaya now and yesterday I went to check on the progress of the torma artists. The first person I saw was Lama Sangye and he is hard at work on two tormas, a Mahakala torma called Jugon and an Ekajati torma. He is a master sculptor who trained extensively in meditation (he completed a three-year-retreat at Pullahari in Nepal). In Bhutan, as a youth, Lama Sangye learned statue making from the two pre-eminent Bhutanese sculptors at that time. He is also highly skilled in mask-making. It is thrilling to watch Lama Sangye’s hands work their magic; plus the room where he works is quiet and radiates peace. I hope to follow his progress closely in the coming days and weeks. 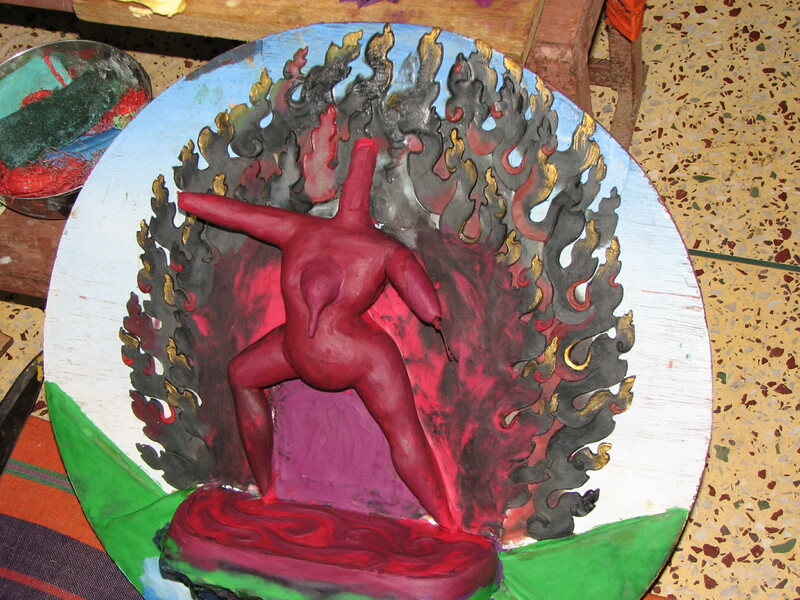 Early stages of the Ekajati torma. They started working on the Kagyu Monlam tormas around Nov. 16th. They’ve already made the shalzes and mixed the colorful wax butter. A row of naked shalzes. 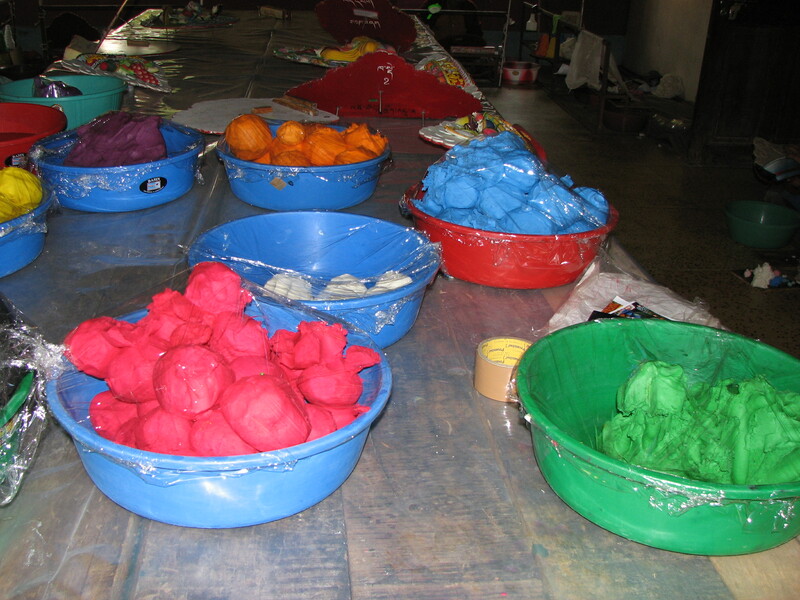 Bowls of colorful wax butter were already made when I got there. 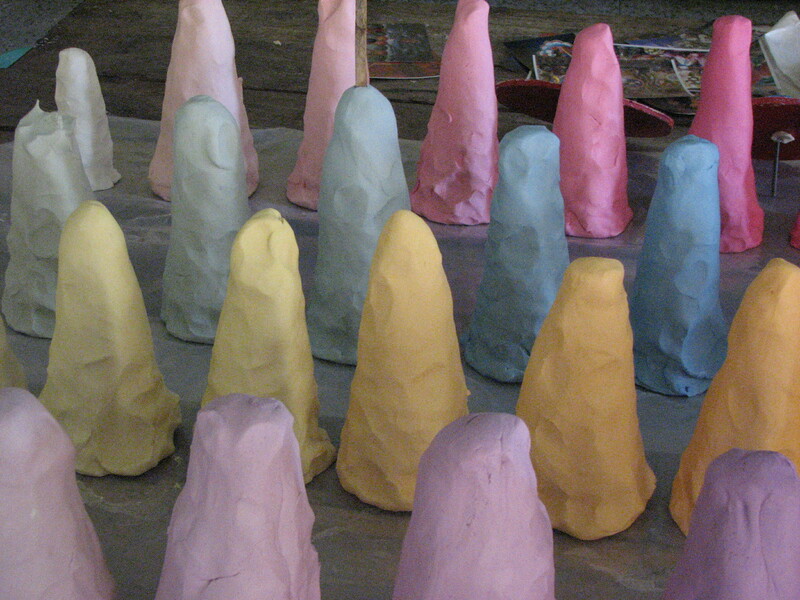 Wax butter cones of color are standing by.